KACHELBURG | Hotel Dieblich, Übernachtung Winningen, Pension Mosel, Restaurant Untermosel, Zimmer Kobern-Gondorf, Alken, Traumpfade. 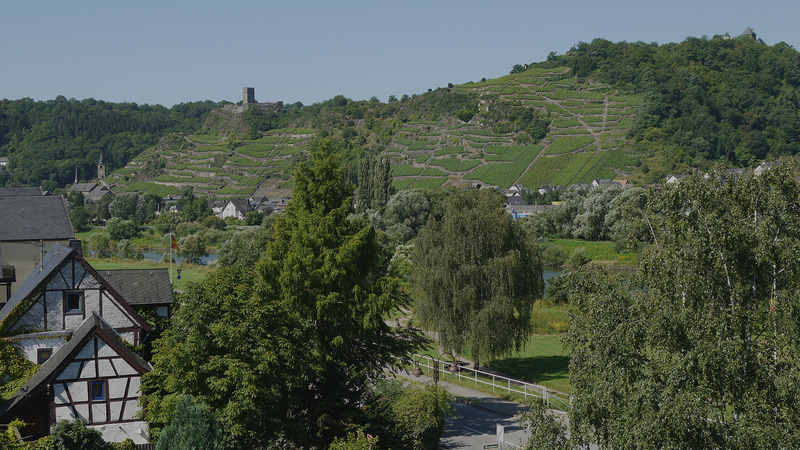 The family-run Hotel Kachelburg is situated directly on the River Moselle with a wonderful view of the Moselle valley, the terraced vineyards and the Upper and Lower Castle to Kobern. The rooms are modernly furnished and are equipped with private bathroom, TV and telephone. Wifi is free for our guests. 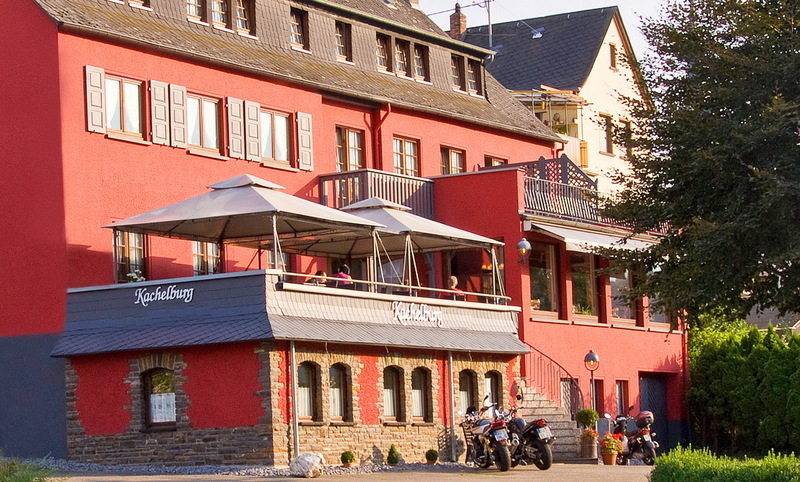 Located between Koblenz (15 km) and Cochem (35 km), the Hotel Kachelburg is ideally situated for trips along the Moselle, Rhine and Eifel. Walking on the “Traumpfade”, Rheinsteig , RheinBurgenWeg… Bicycle tours along the Moselle, Rhine, Lahn, Maifeld bike trail … Trips to Koblenz, Cochem Castle Elz, Nurburgring Trier, Luxembourg, Volcano Park, Geysir Andernach … Bicycle Rental – Bicycle Garage Free Parking We look forward to welcoming you to our Hotel Kachelburg.